Windies all-rounder Kieron Pollard nearly bumped into Indian bowler Jasprit Bumrah while the latter was ready to take a Pollard’s catch off his bowling during the second T20I at Lucknow. Meanwhile, the hosts banked on their skipper to post a staggering195 runs at the halfway stage. Rohit Sharma brought his fourth T20I century to help India register a massive total with useful contributions from Shikhar Dhawan and KL Rahul. India got off to a slow start but soon break free as Dhawan took 17 runs in the third over. Since then, it was only Rohit Sharma who dominated the proceedings with his powerful hitting. He remained unbeaten on 111 runs from 61 balls with the help of eight fours and seven sixes to help India post a huge total. Rahul also added useful 26 runs at the fag end to help India near the 200-run mark. However, in reply, Windies’ poor effort with the bat continued as the crumbled down for 124 runs. Young Khaleel Ahmed impressed once again picking two wickets with the new ball to give India a perfect start in pursuit of defending the target. THE OTHERS BOWLERS ALSO CHIPPED IN WITH USEFUL CONTRIBUTIONS AS INDIA SEALED THE SERIES BEATING WINDIES BY 71 RUNS. The incident took place in the 11th over when Rohit Sharma brought back Jasprit Bumrah in search of a wicket. 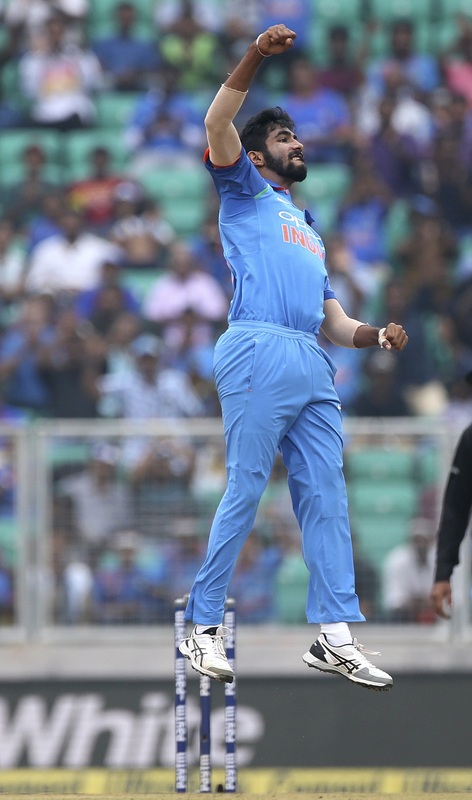 It was a shortish delivery from Bumrah which skidded along the deck, and Kieron Pollard was in no position to play at it. The short delivery climbed on him and got his top-edge as Pollard went for a pull shot. Bumrah charges forward and takes it just near the batsman. Furthermore, Pollard almost got in the way of Bumrah and the ball, but the bowler did well to cling on to it. And while it looked unintentional from Pollard, the Indian fielders were not impressed by his act. In fact, skipper Rohit Sharma even made his displeasure clear to the on-field umpire.